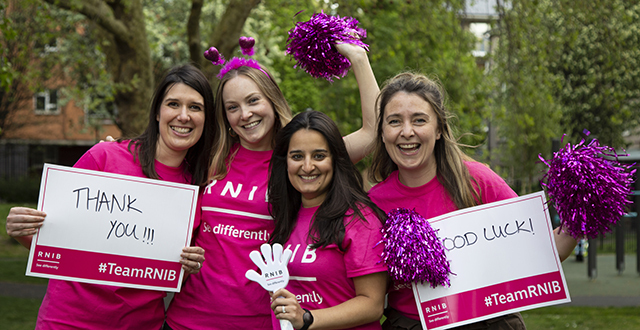 Join Team RNIB for our tough 30km trek along the dramatic coastline of the South West Coast Path, from picturesque Swanage to the natural beauty of Lulworth Cove. We guarantee a truly memorable experience. Our trek will be filled with the stunning sights, scents and sounds of this UNESCO World Heritage site, and the challenging terrain will have us ascending over 1700m along the rugged cliff tops. Sign up by Sunday 5 May to get 50 per cent off your entry fee with the code TREK50. We want everyone to join us for this challenge. If you are blind or partially sighted and require a guide, sign up with a friend or family member, or we can help find one. We also have a limited number of free places for guides who can’t commit to the full fundraising pledge. If you are sighted, we want you to use this experience to support fellow trekkers and this may include guiding. This will be a team effort and we’ll work together to complete this challenging trek. Every day, 250 people in the UK start losing their sight and their lives will change completely. Too many people still face isolation and depression, unable to achieve their potential in a world that blocks their way. But we won’t stop until every last psychological and physical barrier has gone for good – from classrooms to workplaces, from local shops to far-flung holidays. 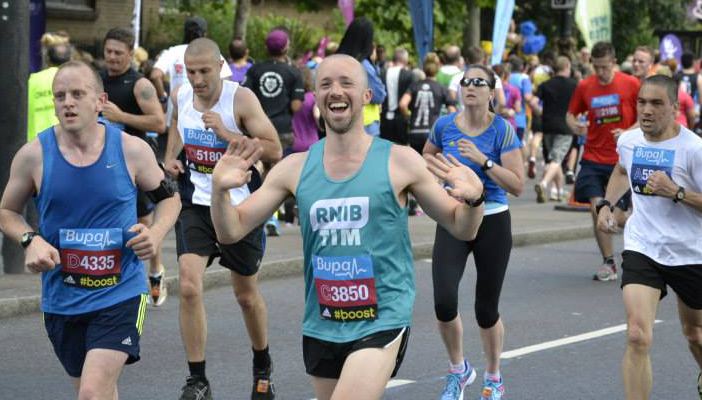 Together with your support, we can smash through the barriers that stop people with sight loss thriving. We will meet bright and early at our registration point in Lulworth Cove. After a briefing from our trek leaders we’ll transfer to our start point in Swanage to set off on our exciting expedition. Following the coastal path takes us towards the beautiful St Alban’s Head along dramatic cliff tops. 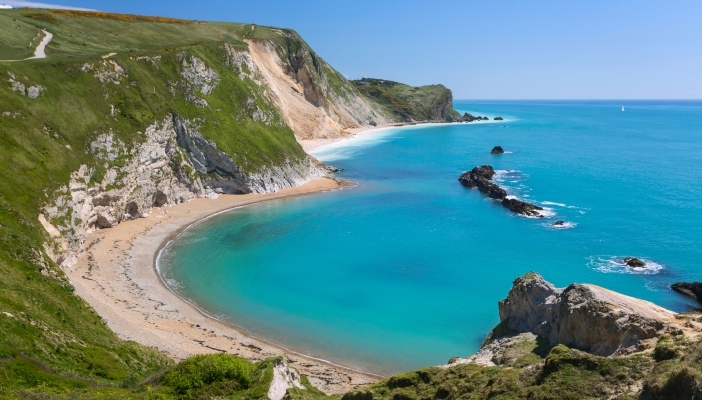 As you round the headland, the trek continues along picturesque coves and bays, surrounded by fossils and artefacts reminding us why the Jurassic Coast is now a World Heritage Site. There will be brief stops for lunch and snacks along the route and depending on the pace of the group we may split into two groups. Summoning all our energy we hike the final stretch to the finish at the stunning and unique natural harbour of Lulworth Cove. You will then make your way home with an epic sense of achievement, an incredible trek ticked off your bucket list, and lots of new friends in your address book! Read our FAQ to find out more about the fitness level required, who will be leading the trek, age restrictions and much more. If you have any questions, we would love to hear from you. Please complete this short form and we’ll be in touch. Or you can call us on 0345 345 0054 (Monday to Friday, 9am to 5pm).